The concept of Paradigm Shift emerged in 1962, from the work of Thomas Kuhn, who wrote The Structure of Scientific Revolution. The concept of “paradigm shift” argues that scientific advancement is not evolutionary, but rather a “series of peaceful interludes punctuated by intellectually violent revolutions”, and in those revolutions “one conceptual world view is replaced by another.” The current paradigm shift can be said to have very humble beginnings at the same time 1962. It is documented in the Brief History of the Internet. The first recorded description of the social interactions that could be enabled through networking was written by J.C.R. Licklider of MIT in August 1962 discussing his “Galactic Network” concept. He envisioned a globally interconnected set of computers through which everyone could quickly access data and programs from any site. What followed has been called the Digital Revolution, the Third Industrial Revolution, the Information Age and the Learning Age. Its beginning is usually pinned as the 1980’s. 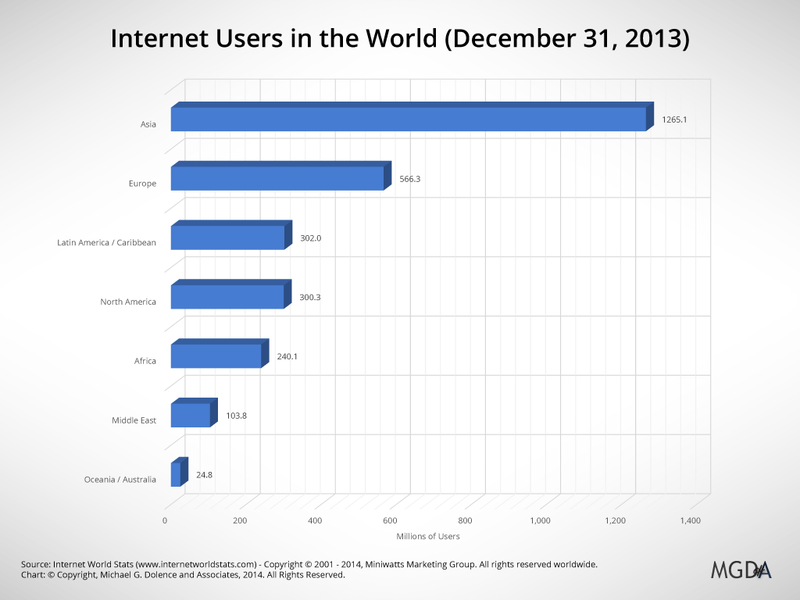 The Internet was not officially named however until October 24, 1995. This corresponded to the Eastman Kodak Company beginning a decline in profitability resulting in declaring bankruptcy in January 2012 despite significant leadership in digital photography. The print industry in general began to slide quickly with the U.S. print industry declining 1% per month during 2009. Newspaper, periodical, book, and directory publishers have experienced significant decline and are expected to fall another 25% in the next ten years. Record store, media rental, and wired telecommunications carriers are all suffering from rapid decline. The point here is that the evolution of the Digital Revolution has had a huge impact upon a wide variety of business and social sectors globally. It has had a huge impact upon the global learning environment as well. A confluence of innovation around the digitization of books began a full rethinking of knowledge transfer and learning infrastructure design as it relates to the written word. Project Gutenberg begun by Michael Hart in 1971 with the digitization of The U.S. Declaration of Independence and can be called the birth of the eBook. The Library of Congress announced Oct. 13, 1994 that it had received $13 million in private sector donations to establish the National Digital Library Program. In 1996, Google co-founders Sergey Brin and Larry Page were graduate computer science students working on a research project supported by the Stanford Digital Library Technologies Project. Their goal was to make digital libraries work, and their big idea was as follows: in a future world in which vast collections of books are digitized, people would use a “web crawler” to index the books’ content and analyze the connections between them, determining any given book’s relevance and usefulness by tracking the number and quality of citations from other books. The crawler they wound up building was called BackRub, and it was this modern twist on traditional citation analysis that inspired Google’s PageRank algorithms – the core search technology that makes Google, well, Google. As of April 2013 a Wikipedia page reported Google had scanned 30 million of the 130 million unique books that exists from around the world. It expects to complete the task by 2020. The World Digital Library was launched on April 21, 2009 at UNESCO headquarters in Paris, France. The WDL has stated that its mission is to promote international and intercultural understanding, expand the volume and variety of cultural content on the Internet, provide resources for educators, scholars, and general audiences, and to build capacity in partner institutions to narrow the digital divide within and among countries. It aims to expand non-English and non-western content on the Internet, and contribute to scholarly research. The library intends to make available on the Internet, free of charge and in multilingual format, significant primary materials from cultures around the world, including manuscripts, maps, rare books, musical scores, recordings, films, prints, photographs, architectural drawings, and other significant cultural materials. In parallel to the digitization of books, open curricula began to appear. Consider the MIT’s Open Courseware initiative. In 1999, MIT Faculty considered how to use the Internet in pursuit of MIT’s mission—to advance knowledge and educate students—and in 2000 proposed OCW. MIT published the first proof-of-concept site in 2002, containing 50 courses. By November 2007, MIT completed the initial publication of virtually the entire curriculum, over 1,800 courses in 33 academic disciplines. In 2006 Salman Khan created the Kahn Academy. To date, they have delivered over 458 million lessons and learners have completed over 2 billion exercise problems (which is around 4 million per day!). In addition, they have 350,000 registered teachers around the world who use Khan Academy in their classrooms to help to inspire, motivate and guide students through their learning paths. In 2008, the first massive, open, online course (MOOC) was offered by Stephen Downes and George Siemens building off a for-credit course at the University of Manitoba, Canada. The title was ‘Connectivism and Connective Knowledge/2008’ (CCK8). Around 2,200 people signed up for CCK08, and 170 of them created blogs. The course was free and open, which meant that anyone could join, modify or remix the content without paying (although a paid, certified option was offered). The primary contribution MOOCs make to the future is one of testing scalability to large numbers of networked learners. In 2012, two Stanford Professors, Sebastian Thrun and Peter Norvig offered “Introduction to Artificial Intelligence” for free online. Designed to resemble real classroom experiences and offer high-quality classes for everyone, the idea had the advantage of carrying the prestigious Stanford name. More than 160,000 students in 190 countries signed up. They went on to start Udacity. 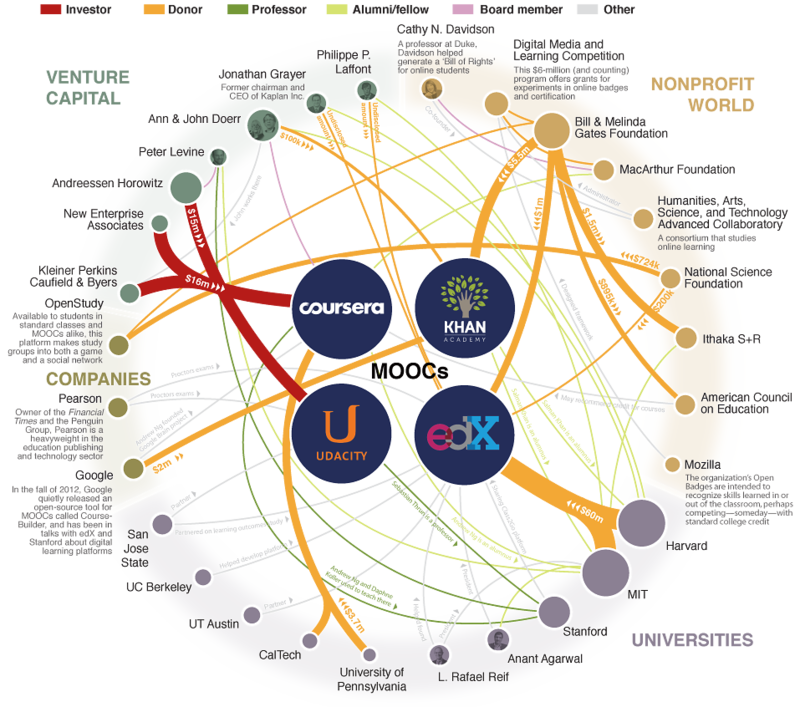 In May 2012 MIT and Harvard University founded EdX as a massive open online course (MOOC) provider and online learning platform with pedigree partners from around the world. Coursera also launched in 2012. As of April 2014, Coursera reported 7.1 million users in 641 courses from 108 institutions and raised $85 million in capital by December. In 2013, the Open University began building its own MOOC platform, Futurelearn, which will feature universities from the United Kingdom. In 2008, Jose Ferreira (formerly from Kaplan) launched Knewton to provide an infrastructure platform that allows others to build powerful proficiency-based adaptive learning applications. It’s easy to get lost in the technology of it all and forget all of this is really about open access to the curriculum and an effort to improve learning experiences and optimize learner performance. 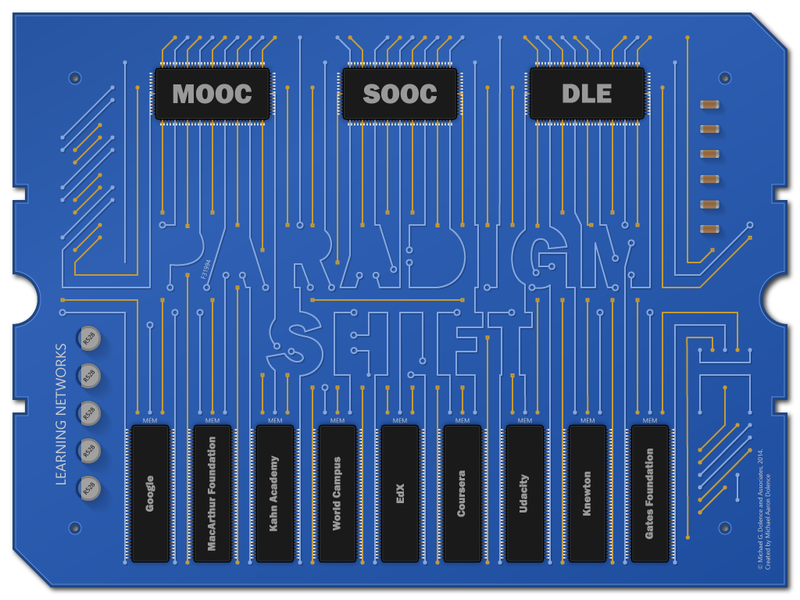 I summarize this paradigm shift as the emergence of the Digital Learning Environment (DLE). The emerging proliferation and increasing positive performance of Digital Learning Environments is a revolution, a transformation, a sort of metamorphosis. The early stages of the digital revolution disintermediated film, paper and a host of other players. What is the potential for DLE’s to disintermediate colleges and universities? January 15, 2014 Georgia Tech in partnership with AT&T and Udacity launched the first massive online degree program (MODP).The first cohort of 375 students enrolled in the Master of Science in Computer Science program will pay less than $7,000 for a graduate degree, compared to $45,000 for on-campus students. It is important at the outset of planning to recognize these and other profound changes occurring in the global learning ecosystem. The shift from print-based to digital information, ubiquitous networking, social interaction systems, cloud-based learning management systems, massive digitization of the world’s knowledge resources and the emergence of new business models (i.e. Western Governors University and Georgia Techs Masters degree). These fundamental shifts require an organizational learning initiative to bring into focus the full impact of them on the higher education enterprise of the future. This post is by no means an exhaustive review of the evidence of a paradigm shift that has already occurred. It is planning reference point to signal significant environmental events that change the evolutionary course of education. The first strategy in our prototype strategic plan is, therefore, Change the Paradigm. To survive and flourish an institution must recognize the paradigm shift and adjust to meet the new demands required by the emerging global digital learning environment. This strategy requires that an institution reconcile its mission and vision with the emerging new context. This does not mean abandoning the strengths of the current model but instead contextualizing and connecting to a digital future. Much must be considered in the process of adapting to the new paradigm. Below is an outline of the beginning of the path forward and few goals one might consider in the process of planning. Build an academic culture and enterprise that is aligned with and is of high value to learning age societies. Recognizes that curriculum is more than an internet of things and conceptualizes an architecture that conveys curriculums true value designed to meet the needs of 21st century learners. Reorient the academic enterprise to the challenges and opportunities presented by the lifelong learning needs of a diverse global population. Create a more manageable, more granular curriculum to enable closer alignment with the emerging form and function of the emerging global digital learning environment.